Only eight days since my last newsletter: people will talk! In the unlikely event it has escaped your notice, MY BOOK IS FINALLY OUT!! An ideal Christmas present for all the science, history, and nature fans in your life. Just think how prescient you’ll look when this thing wins the Pulitzer. Why not treat yourself to a copy, while you’re at it? Robert McCrum’s 2017 Guardian series, The 100 best nonfiction books, nears its end with Hydriotaphia, Urn Burial, or A Brief Discourse of the Sepulchral Urns Lately Found in Norfolk (1658). 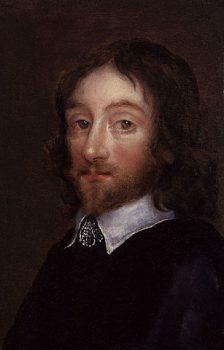 Although the 17th-century language is hard-going at times, Sir Thomas Browne’s book would certainly make my list. The final, summary chapter in particular is a masterpiece. I first encountered Browne via two of my all-time favourite writers, Stephen Jay Gould and W.G. Sebald. You can imagine my delight when I discovered there’s a Bronze Age urn-burial site within spitting distance of my home, on the edge of the local moor. You can, of course, read all about it (and Sir Thomas Browne) in my book. See also my article The Thomas Browne Affair. Talking of Sebald, Nasa’s Cassini spacecraft captured a final stunning photograph of the Rings of Saturn two days before plunging into the planet’s atmosphere. My friend GrrlScientist is gradually republishing many of her old stories from various media sites on her Medium page. Her recent repost, The mystery of Captain Scott’s penguin eggs, concerns Bill Wilson, Apsley Cherry-Garrard and Henry Bowers’ 1911 scientific expedition to collect penguin eggs in Antarctica. 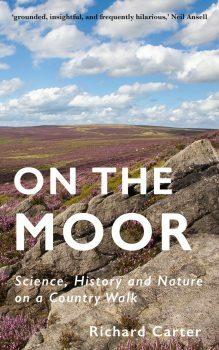 Ornithologist Bill Wilson also stars in the chapter about red grouse in On the Moor. I was really taken with Wilson: a real mini-hero of science. If this sort of story interests you, you might like to subscribe to GrrlScientist’s newsletter. Another of my friends, the science historian Thony Christie, generally pooh-pooh’s the idea of lone ‘heroes of science’. Science is a collaborative process, so it‘s unfair (and misleading) to give individuals too much credit. My flippant, but genuine, response is that anyone who contributes to our scientific knowledge is a hero in my book (even those who ultimately get it wrong). Thony’s recent post, History of the little things, makes me suspect we’re in far closer agreement than either of us lets on. As I explain in On the Moor, my own personal hero, Charles Darwin, provided some useful insights into the evolution of languages. But, as a recent article on the Randomness of Language Evolution explains, just as with species, the English language is shaped by more than ‘natural selection’. The Guardian recently nominated some of the best nature books of 2017. I couldn’t help noticing one glaring omission. Identifying species via ‘DNA barcodes’ is another topic mentioned in On the Moor. Now scientists are using it to debunk fragments of ‘yetis’, and, more importantly, to shed light on the evolution of bears. In a similar vein, new genetics research has settled questions about American prehistory—in particular, about the peoples of Newfoundland and Labrador. Even though I thought the suggestion sounded pretty obvious, I was interested by a recent piece on how writing has tended to make language syntax more complex. A feature interview with one of my favourite science communicators, Prof. Alice Roberts. I’m very much looking forward to reading her latest book, Tamed: 10 Species That Changed Our World: she has a knack for simplifying without dumbing-down. Rest assured, the frequency of this newsletter will now return to an a reassuringly vague, as-advertised ‘occasional’.